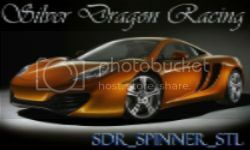 Drag Racing Forum • View topic - How do I play this game on Windows/Mac? Bluestacks! Board index ‹ Creative Mobile Racing Games ‹ Drag Racing ‹ General Talk and Feedback ‹ Drag Racing FAQs ‹ How do I play this game on Windows/Mac? Bluestacks! Re: How do I play this game on Windows/Mac? Also, running the pc hardlined or WiFi doesnt seem to have much difference either. If I reinstall bluestacks on my pc, do I keep my current game stats or does it start all over again ? Ive tuned up my pc and no matter what gear changes I do, I still get the exact same short times wether I run a 9.573 or if I ran a 9.70, its always the same. ok, i am not so computer savvy, and maybe this is a dumb question. how do i know if the beta version that i got was updated to final version for bluestacks? "an amateur practices till he gets it right,a professional practices till he can't get it wrong"
hey guys, so ive been doing some research and looking around and i finally found it. blue stacks beta-1 does not generally receive updates for its apps from google's play store. if you are like me and playing on bluestacks cause you are waiting for ios to update, you will just have to deal with it. unless, someone has the newest v1.5.1 apk for us to download, then they can send it too us individually and we can do it that way, but waiting for bluestacks to update, will not happen. when i search for the game in the search area, it shows the newest version, but its already installed. i do not have the capabilites to update it myself, maybe i do, but i dont know how. so, Stagfly, CM_devs, would you send me the newest apk, that would be awesome. Re: How do I play this game on Windows/Mac? Bluestacks! CM will not do that for security reasons! But Bluestacks is in contact to CM developers so I hope that a possibility for further updates is given. When is bluestacks getting the updates ??? Is there a way To PLay DR On Laptop? Last edited by DRF_StagFly on Sat Dec 01, 2012 12:25 am, edited 1 time in total.